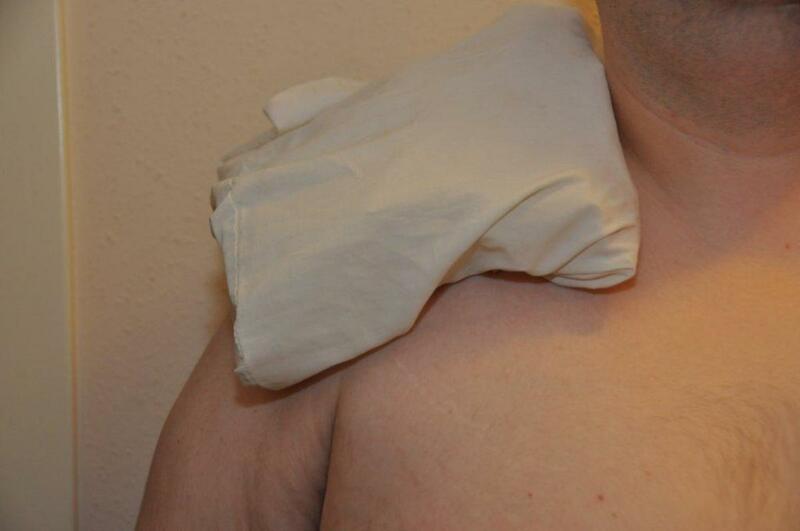 Ice packs and other cold treatments are crucial in the management of musculoskeletal pain, inflammation and swelling. This article will provide you with options and ideas for ice packs. I think these cold therapy options work better than commercial ice packs. Alcohol and Water Ice "Slushy"
The ice slushy is my favorite ice pack option. It is intensely cold and therefore great for icing wherever you need it. Because it is such an intense and long-lasting cold, it is therefore good for getting to deeper, thicker or larger tissues and structures, like knees and shoulders. It conforms well to your body for irregular surfaces, such as ankles and knees. The slushy is good for small and more superficial tissues as well. I guess that means just about anything you may need to ice. Why? Even in the smaller quart size, the slushy will stay therapeutically cold out of the freezer for an hour. This means if you are up and down for a few minutes tending to dinner for example, the slushy will still be cold when you return. You don’t have to drag it back and forth to the freezer. The ratio for the alcohol slushy ice pack is 3 to 4 parts water and 1 part alcohol. Most stores carry rubbing alcohol in 2 percentages. It doesn’t really matter what percent alcohol you use. I buy whatever is cheapest. More important than which percentage alcohol you buy or the exact ratio of water and alcohol, is how much total solution you put in the plastic bag. You don’t want it too full because it won’t conform well. For a quart sized slushy, start out with 1 1/3 cups water and 1/3 cup rubbing alcohol. For a gallon sized slushy, use 3 cups water and 1 cup alcohol. Do not skimp on cost on the plastic bags. The freezer bags are thicker, but regular is okay. Get a good name brand with a heavy zipper or double zippers. Bags with the zipper pull will leak slightly at the zipper pull end. After pouring water and alcohol into bag, zipper, then place into a second bag, so that the zippers are on opposite ends. You may also put first bag in with the zipper facing down to maximize protection from leaking. For use, place a washcloth or towel against your skin. The alcohol and water ice slushy is intensely cold, but you can dampen the towel if you desire an even more intense cold. Apply to affected area for 15-30 minutes to achieve numbness then return bag to freezer for next use. I usually recommend 12-15 minutes to my clients for smaller, more superficial tissues such as wrists. I recommend 20-30 minutes for larger areas and deeper structures such as shoulders. I have chiropractor colleagues who recommend 30 minutes on, and 30-60 minutes off for ice for acute back pain. Some sources however indicate there is no additional benefit after 20 minutes of ice treatment. Store ice slushies in the freezer between uses. If your alcohol slushy ice pack is too slushy, thaw slightly and dip off ½ to 1 cup of solution and replace with water. If the slushy freezes too solid and does not conform well, dip off solution and replace with alcohol. You can certainly make your own ice packs by putting ice cubes or crushed ice in a plastic bag. I suggest that you add water, enough to float the ice. This will make the ice pack conform to your body part better. Use a cloth between your skin and the ice pack. Countless providers recommend the use of frozen peas or corn as an ice pack. I used to, but have not in years. I suppose it may be okay for short term use. Most of my clients have more chronic problems, requiring the use of ice several times a day for weeks or months. I think the vegetables would be pretty disgusting for long term use, but you decide. The juice pouch ice pack is good for small areas, such as wrists or fingers, and also great for dental pain. Freeze a foil juice pouch, such as Kool-Aid or Capri Sun. Place a cloth between the ice pack and the skin. Clients love the soothing texture of this cold pack! It conforms well to any part. The weight of this cold pack helps hold it in place. Use quart sized bags for wrists, elbows, ankles and knees. Use a gallon sized bag for shoulders, neck, upper or lower back. Karo is a thick corn syrup used for cooking and making candies and other sweets. I use generic corn syrup. Dollar General stores have large bottles for $1.50, but seen to only carry it around the holidays. Wal-Mart has generic corn syrup year around, but I’ve only seen the small bottles, which are $1. Put ¾ to 1 small bottle, or ½ of a large bottle of syrup in a quart ziplock bag, then double bag. Use 1 large or 2 small bottles for a gallon bag. The Karo syrup cold pack will not stay cold as long as alcohol slushy or traditional ice pack. Use a thin cloth against the skin, such as a thin towel or cloth handkerchief. As the syrup pack gets less cold, take cloth away and place directly against skin or wet the cloth. Have at least one other Karo cold pack and switch out when your Karo pack is no longer cold. The rice ice pack is an especially good strategy for the neck and shoulder area as the weight of the rice will help hold it in place. Buy a large bag or multiple bags of rice, popcorn, or dried beans. Put uncooked product in pillow case or cut off a leg of a pair of sweatpants to make a tube and secure product in the pant leg. Store in the freezer. Place rice ice pack to neck, upper back or other area for 20 to 30 minutes. 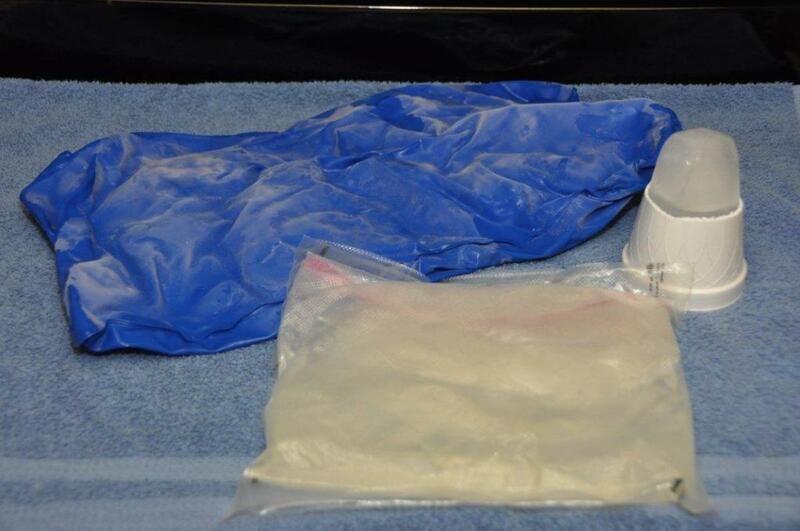 Note that the rice ice pack will not get as cold or stay cold as long as ice slushy ice pack. For cool pack, store Karo pack or juice pouch in the refrigerator or take out of freezer for 5 to10 min before use. Cold packs are available in drug store chains such as Walgreen’s and CVS, as well as major chain stores such as Wal-Mart. I have purchased a cold pack made by Ace. It is adequate, but the cover is thick, which makes the overall effect less cold. It is stiff and does not conform particularly well. It does however appear resistant to tears and leaks. Products similar to rice ice packs, but with synthetic filler, are available and have become more affordable. Most can be stored in the refrigerator or freezer for use as a cold pack, but can also be microwaved for use as a heat treatment. Thermal packs large enough for an elbow, knee or the neck/upper back are now much more affordable. Whereas they started out at about $30 to $40, they are now available for about $10 to $15 at stores such as Wal-Mart, CVS etc. Gel-filled or neoprene cold packs can also be stored in the refrigerator or freezer for use as a cold pack, or microwaved for use as a warm pack. You may have to try a medical specialty supplier such as North Coast Medical. Contrast baths, the use of alternating warm and cold water, is an excellent means to reduce swelling in the extremities. They are also my preferred thermal option for clients with arthritis pain and stiffness in the hands. Submerge hand or foot in warm water for 3 minutes, then alternate to cold water for 1 minute, doing a total of 3 cycles, then ending with a 3 minute warm soak. If you have swelling, but have open wounds, stitches etc, immersion for contrast baths is contra-indicated. You can do alternating warm and cold packs, or warm and cold compresses. Alternate warm and cold every 3 to 5 minutes for a total of 15 to 20 minutes. Place a waterproof barrier between skin and warm or cold pack. For information on the indications, benefits and precautions, see my article, Ice Packs and Other Cold Treatments — Benefits for Pain and Swelling. You should also refer to that article on indications such as how long to ice. can i use the alcohol one on my eyes? Money that is some creative linking! Hats off to you! Now let's get your hub back out there live! Thanks for reading paul. Let me know how it goes. You might also want to look at my hub, How to Talk to Your Doctor About Pain. It might help some of your patients as well. Also, Treat Your Body Like Your Favorite Car. Yet another fine hub I'll be able to refer my patients to for pain relief ideas. 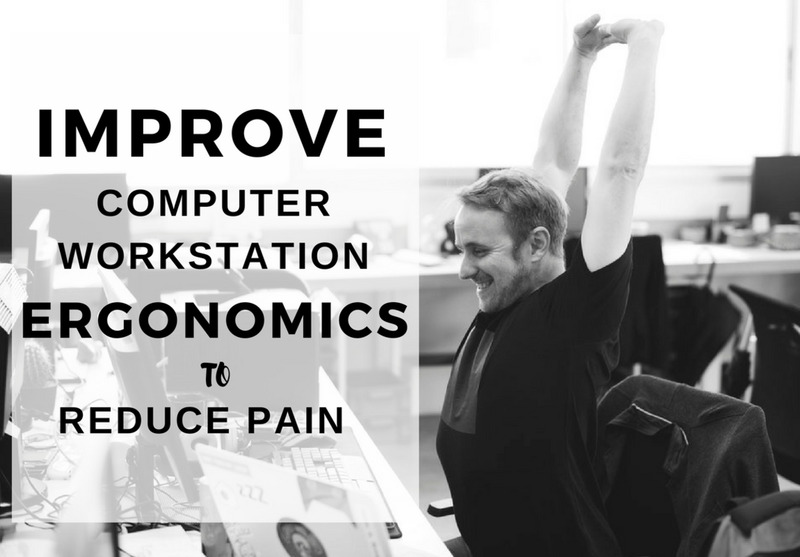 I work in chronic pain management and we're always looking for innovative ideas for our pain toolkits, and we are especially fond of those that don't involve taking pills! I also have degenerative disc disease and cervical radiculopathy in my neck and am looking forward to trying these methods for my pain as well. Thanks for another interesting and educational hub! Thanks for posting wordscribe! Please read my Ice & Benefits hub. I use the direct ice massage for my knees. Very cool hub! One very much appreciated by me, a person suffering from chronic knee pain (even after 5 surgeries: don't get me started!). Never heard of a few of these, the rice and karo syrup ones are very intriguing. I've used beans, never rice. Anyway, thanks for the information, had to ice twice yesterday, so could use some entertainment with this irritating process. Thanks for posting! Thanks for the high praise AEvans. Everyone collects something. Knowledge is one of the best things to collect! Thanks for the compliment Irohner! Maybe not too late for the grandkids? Also, icing is good for arthritic knees, shoulders, back etc. Got your email and got some links done. THanks! Good Lord, I wish I had read this back when my kids combined were on 6 soccer teams, 2 football teams, a hockey team and a basketball team. This sure would have come in handy! BTW, did you get the email I sent to you yesterday?